My commute home, like yours, is a time to unwind and forget your day’s stresses. Luckily, Boston’s คาสิโนออนไลน์WERS has a daily reggae program (Rockers) that helps me out huge. Listening for the past week, a couple gems stand out: the drop leaf riddim and this dynamic track “Sunshine Girl” by Capleton. Featuring Bob’s second son, Stephen Marley, “Sunshine Girl” erupts with life; a playful bassline gives way to a gets-in-your-head chorus. 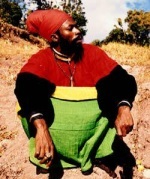 Stephen’s innocent voice sings the killer hook and Capleton covers the verses with flawless Jamaican ragga style. Posted by Paul Irish on Tuesday, May 3rd, 2005 under reggae. Great post! Hey, what’s the jam playing on the link to drop leaf riddim? What sweetness. Thanks. The Maxi Priest track (I Believe) is pretty tight, too. do you know that some capelton concerts have been canceled in France because of his homophobia ? Yeah, unfortunately some of the biggest artists in dancehall are huge homophobes. Quite horrible, really. It’s not a question of homophobia but an explanation of what things are and how they used to be. Whithout the union of a woman and a man life is over and what Real Rastamans want to support and celebrate is Life. It’s a justified worry about our future days.